Chockchai Garden Home. 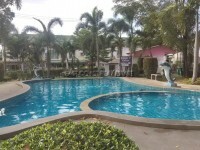 Located within a village in East Pattaya, sited minutes away from Sukhumvit Road off Soi Khao Noi. The village is guarded 24/7, and a communal pool. 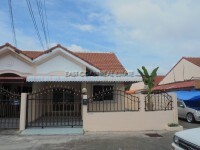 The bedrooms are a good size, the house is Unfurnished, a Thai kitchen and a large water storage tank.